Jim Barabas focuses on patent litigation as well as intellectual property due diligence and transactional matters. In particular, Jim has significant experience representing clients in patent litigation in the chemical, pharmaceutical and biotechnology industries. In the pharmaceutical area, he represents clients in Hatch-Waxman litigations. In the chemical and biotech areas, he has represented clients in litigations concerning DNA microarrays, labeling reagents, and immunochemical detection systems. 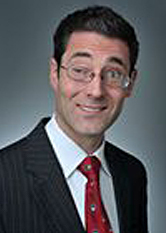 Jim also has significant experience litigating patent cases in the electrical engineering and computer science area. Such cases have involved, among others, redirection software, laptop computers, and mobile phones. His practice is international in scope, and he has litigated in courts across the country, and in international arbitrations in Switzerland and Germany. He has significant experience in litigation in popular patent forums, including Delaware, New Jersey, the Eastern District of Texas, the Western District of Wisconsin, and the ITC. In the transactional area, Jim's experience includes advising investment banks, private equity firms, and corporations on the intellectual property aspects of mergers, acquisitions, and other corporate transactions. As part of this transactional work, he has reviewed patent portfolios and outstanding patent litigations for leveraged buyout and takeover candidates. Co-author, US Chapter of the book Intellectual Property and the Internet, A Global Guide To Protecting Intellectual Property Online, Ed. Neville Cordell, Inbunden 2013. Co-author, “Trial By Jury,” Intellectual Property Magazine, December 18, 2012. IP Bullying or Proactive Enforcement, panelist regarding trademark enforcement considerations, Fordham Law School, New York, New York, November 11, 2011.